At last I am back in the UK. It does feel good to get away from the maddening heat, the rushing crowd and the scorching sun but I do feel quite sad leaving my home country for 2 reasons ... One, it is all this untolerable heat, sun, dust, crowd that makes India unique and ....... "It is my country and I love every bit of it". The second reason is my daughter. She had such a nice time in India where she was pampered by 4 grandparents who were like her humble servants, bowing down to her every command and wish, even though all 4 of them are busy practising doctors. I love banana flavour as well.... that is the reason I added banana flavouring to the icing cream. Butter [chilled and chopped]: 90gms. Yellow food colouring: 2-3 drops. Beat the double cream to whipped cream consistency. Add the condensed milk, banana essence and yellow food colouring. Mix well. 1.Sift together the plain flour, self raising flour and custard powder twice. 2.Add the chopped butter and mix until crumbly. 3.Add the egg yolk and passion fruit pulp. Mix thoroughly until everything comes together. 4.Add 2-3 tbsp of milk if the dough is too dry. 5.Divide the dough into two equal portions. 6.Roll them inbetween sheets of grease proof paper until 5mm thick. 8.Preheat oven to 180 degrees C/160 degrees C fan assisted. Grease oven trays and line with grease proof paper. 9.Using a 4cm flower shaped or round cookie cutter, cut rounds from the dough. 10. Place them 3cms apart and bake for 10 minutes. Cool on wire racks. 11.Spoon the icing cream into piping bag fitted with a large ragged nozzle and pipe onto the cookies. I mixed the flour and the chilled butter with my fingers to get the crumbly texture as I don't have a food processor.... the dough was perfectly fine. There is no need to seperate the seeds from the passionfruit pulp. The seeds in the cookies provides a interesting crunch. You can add any flavour or colour to the icing cream... it is upto to your creativity.. The cookies without the icing can be stored upto 5-6 days in an air-tight container. Once the cream is piped, it is best eaten on the same day. very cute looking and clicks are awesome. Glad your daughter had a wonderful time. ohhh...droooooling here...perfect n tempting..wonderful clicks dear.. Welcome back Reva..Yes,sometimes we are forced to mislead kids with small lies.happens.Anyway,she is goin to miss them.But I am thinking about them.how they will be feeling for the kid. Nice recipe to restart.Very aesthetic as usual. Lovely and so so so pretty looking cookies... Haven't tasted passion fruit.. wanna try soon..
lovely and crunchy cookies..nice clicks too..
Gald to know that u njoyed your stay with family in our country :)poor little gal :( and i feel about her thatha Patti...who well be in full stress leaving their grand daughters...so sad..but it happens ..no way ...you divert yourself into this wonderful blogging world with some yummy recipes for your kid..take care !!! Very cute looking cookies, clicks are awesome. Thanx for sharing such a wonderful recipe. Yummy o yummy Reva. enn enga veetukku varavillai? very cute looking cookies..amazing clicks!! You never stop amazing me with all the wonderful recipes and amazing pics whenever I visit your space! Beautiful work as always my dear! I always see passion fruit in supermarkets but somehow never buy them..guess its time to try these...photos are brilliant as always Reva. Very very admiring pictures.. awesome Reva.. hope u had wonderful time .. The cookies and the frosting is just making me drool like anything.. awesome. Wow reva awesome work. I am big fan of u clicks. They r really fantastic. Hey Reva glad to have you back in action. You were missed! Your daughter is one lucky girl to have so many doctors pamper her--touch wood! Those cookies look awesome, I can just imagine how good they taste. And of course, beautiful shots!! 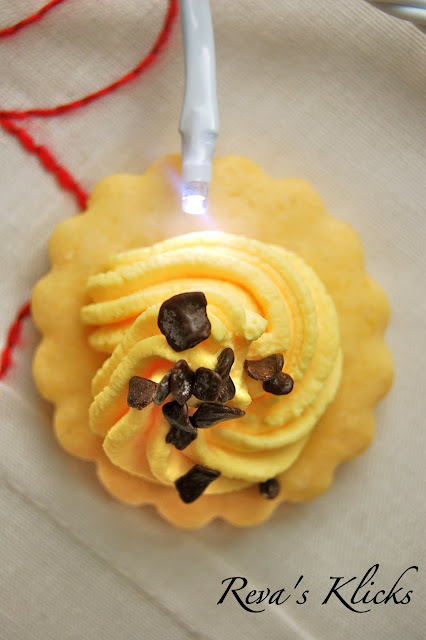 I too love passion fruit and your cookies look awesome,I am bookmarking this. welcome back dear !! these look so cute and very tempting clicks !! Loved them !! Reva,welcome back.Really loved ur clicks. Such cute looking flowers. Looks colorful and lovely. Good to know that you had a nice time in India. simply BEAUTIFUL! love the presentation, absolutely! The cookies look awesome and the clicks look absolutely great. Glad to know that you had a nice time back home. Very nice and colourful cookies. Oh..Poor little baby, Hope she finds a better distraction.. Cookies looks marvelous and soooo yummy , Gotta try this one day..
wow, looks really good revathi! 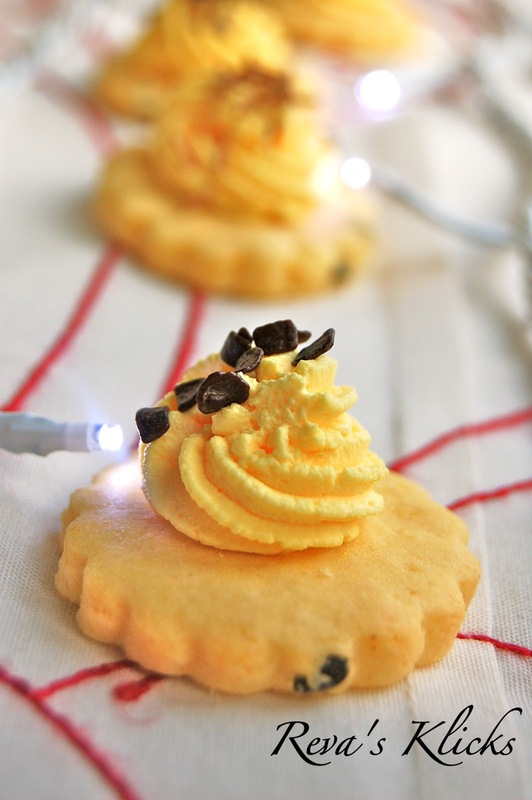 Gorgeous cookies and tempting clicks! Looking so yummy .. yeah homesick after the trip is bad .. been thru. Lovely cookies... look so much decandant with icing and chocolates , Lovely clicks .. So glad I come to your lovely blog. I am here to pass you few awards, so please drop by and collect the awards from my blog.. Awesome..What a lovely recipe! I’ll bet tastes as good as it looks.. They looks adorable.. could not take my eyes off ur picture.. Definitely Bookmarked ! Wow! I am super impressed. These cookies sound wonderful. Love your pretty presentation. Can't take my eyes off from the beautiful cookies pictures. I doubt if i will get passion fruit pulp here...have to check...Looks terrific !! Ooh those cookies look amazing! And amazing photography! I agree that with all the flaws we still love our hometown/country. Glad you had a good time at home and now find blogging a good distraction to get away from it all. I guess that is one connection all Indian bloggers probably have. 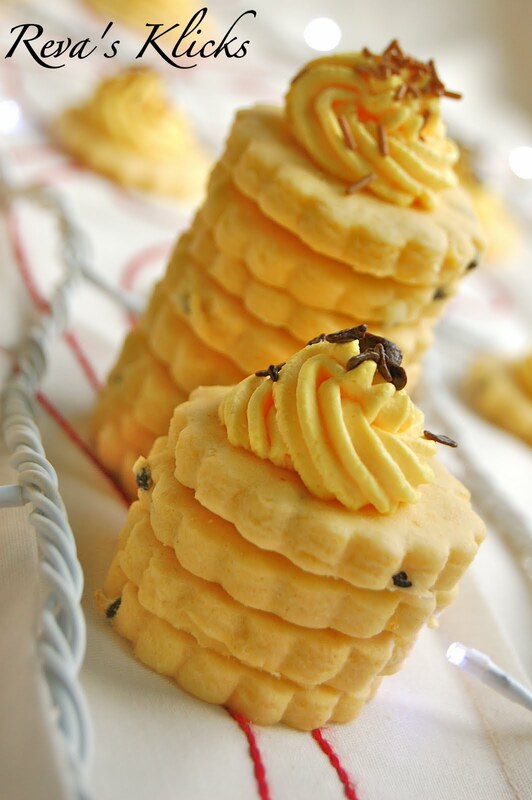 Awesome recipe.. passion fruit in cookies!! Very nice indeed. Wow so yummy and delicious cookies..Gald to know that your daughter enjoyed India trip. wow i am impressed and cud eat one right now! I just found your blog and I'm so happy I did -- you are a fantastic cook! These cookies are really masterpieces...GORGEOUS! I love the use of passionfruit! welcome back dear..sure your sweet little would had lovely time.. It is SO hard to come home after visiting India...everything is just so quiet! Glad you had a lovely trip and your daughter will re-adjust quickly, I'm sure. 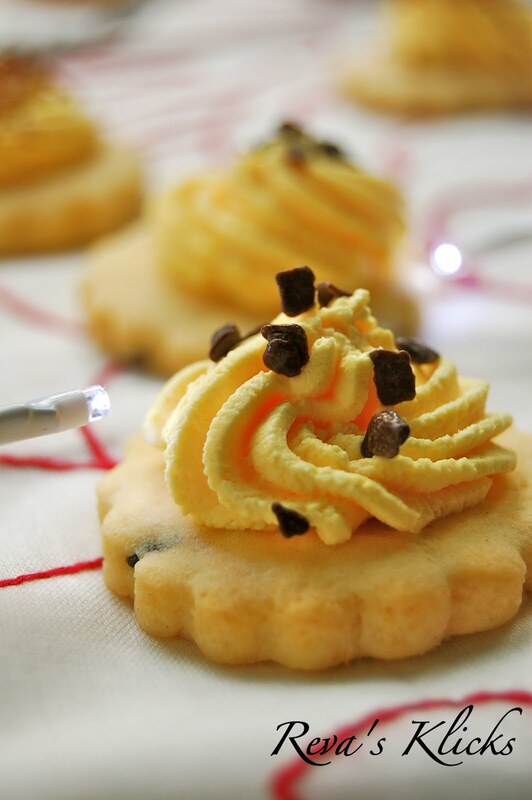 Gorgeous clicks cookies and icing are bright and ravishing.Delicious!! oh these are adorable!...and so pretty! welcome back girl..lovely weather isnt it??? There are some awards waiting for you..Please collect it. Beautiful , beautiful , totally beautiful!!! Lovely cookies. Drooling over them. leaving home town is never easy and kids go through the pain the most as they really get confused ! I can relate to your situation as every time I would go back to the US after a month vacation in my home country of Lebanon, things would be emotionally difficult with me and the children. Love these cookies and would try them as soon as I can!